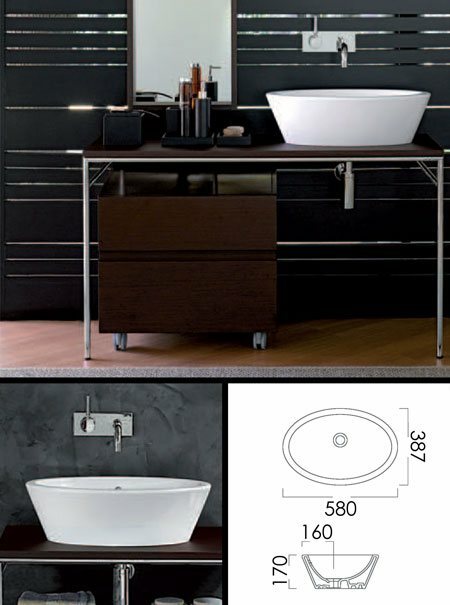 This contemporary counter top basin is designed to be deck mounted onto a work top or a piece of bathroom furniture. Designed by the top Italian designer Antonio Citterio this wash bowl shows simple but effective work top design with quality manufacture. * Part of a larger suite collection.